Leave the outer world for a while, take a deep breath and be part of the Garden of Thoughts. 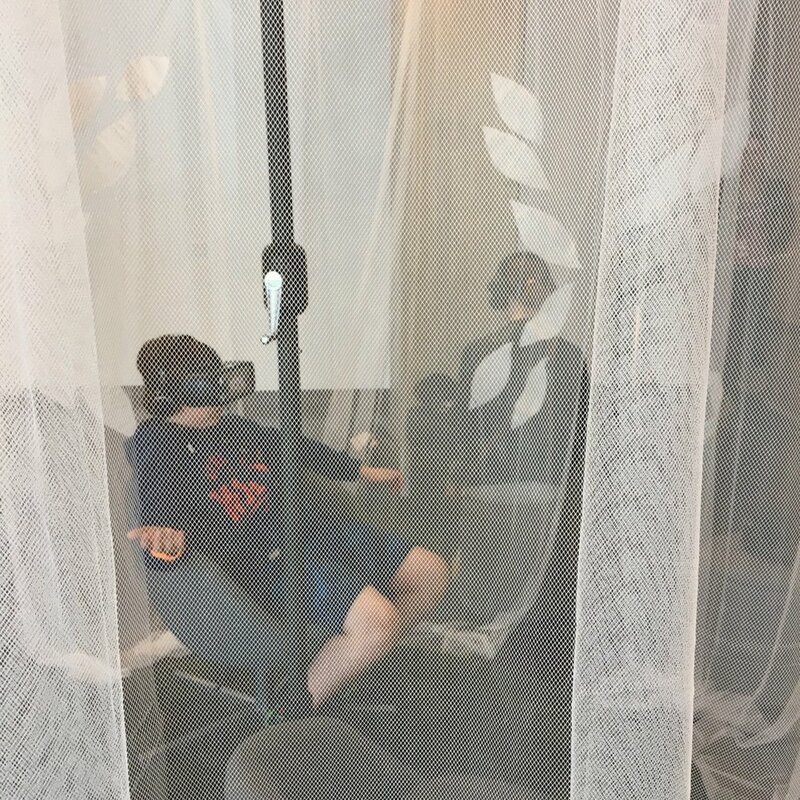 Relax and let yourself be immersed into this VR universe. Get a glimpse of a peaceful place, at the intersection of animation, sound and tactility. 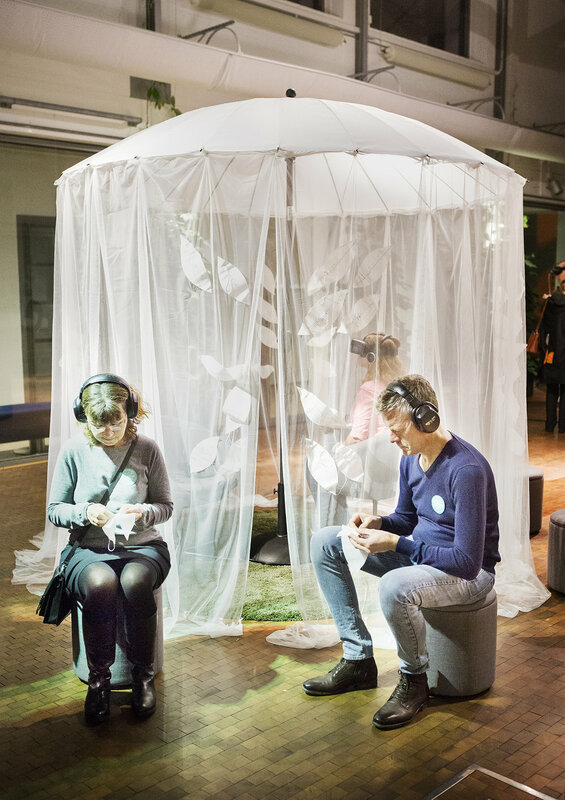 The Garden of Thoughts (Le Jardin des Pensées) is a VR experience and installation that inspires reflection and a moment of calm. 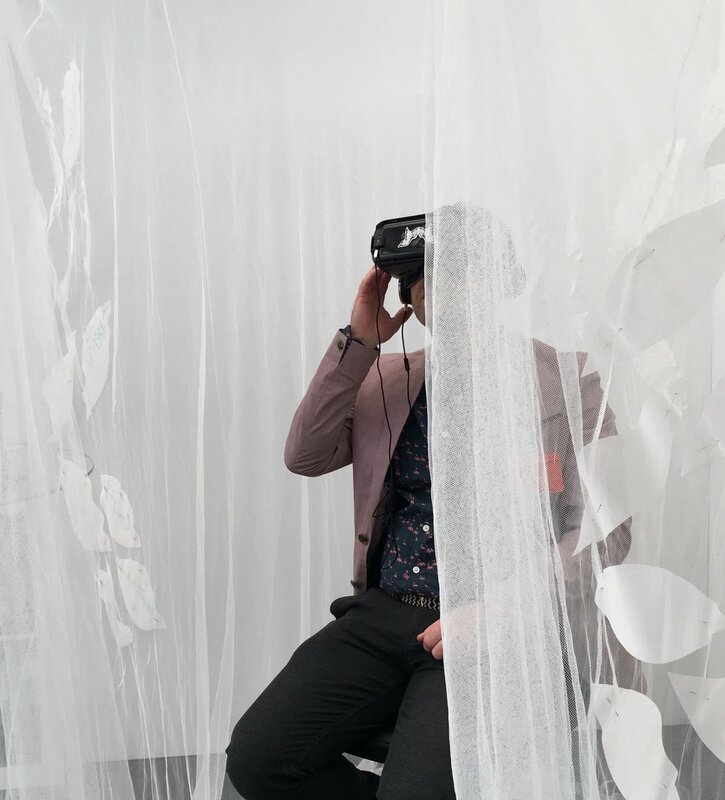 In the experience the digital and the physical worlds are interwoven through animation, music, participatory embroidery and virtual reality technology. The audience are invited to become co-creators and by participating they help the experience to grow. The story behind The Garden of Thoughts once started with these illustrations that I made in 2010/2011. They are made by hand, with black ink, pencil and marker pen. Would you like to know more about The Garden of Thoughts? Please contact me here! The first version of the experience was shown at Nordisk Panorama Film Festival in Malmö, Sweden, September 22-24, 2017. 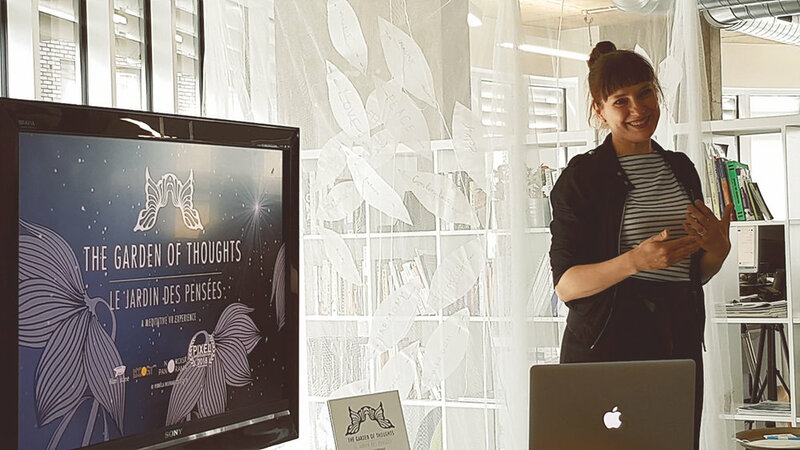 In 2018 "The Garden of Thoughts" was nominated for Best VR Experience at the Pixel Film Festival and received the jury´s special mention. The experience has also been shown at Stockholm Film Festival/Industry Day (VR Section), November 14th, 2017, Dunkers Kulturhus, Helsingborg at the culture festival "Nordiska Nätter - Framtiden", organized by Kunskapsklubben (Folkuniversitetet) and Helsingborgs Stad, November 2017, The Financing Forum for Kids Content, Malmö, March 2018, Future Tech Now, London, April 2018, Pixel Film Festival, Malmö, April 2018, VR Sci Fest, Stockholm, May 2018, Galleri Format, Malmö, Sweden, May 25-27th, 2018, Foresight Factory (trend agency), London, June 7th, 2018, VR Connect, Media Evolution City, Malmö, June 12th, 2018, The Conference, Malmö Opera, Malmö, September 4-5th, 2018, Gnosjö Bibliotek, Sweden, November 12-16, 2018. The Garden of Thoughts (Le jardin des pensées) is a co-production with Boost Hbg and Film i Skåne. The installation is a co-production with the Nordisk Panorama Film Festival and Boost Hbg. 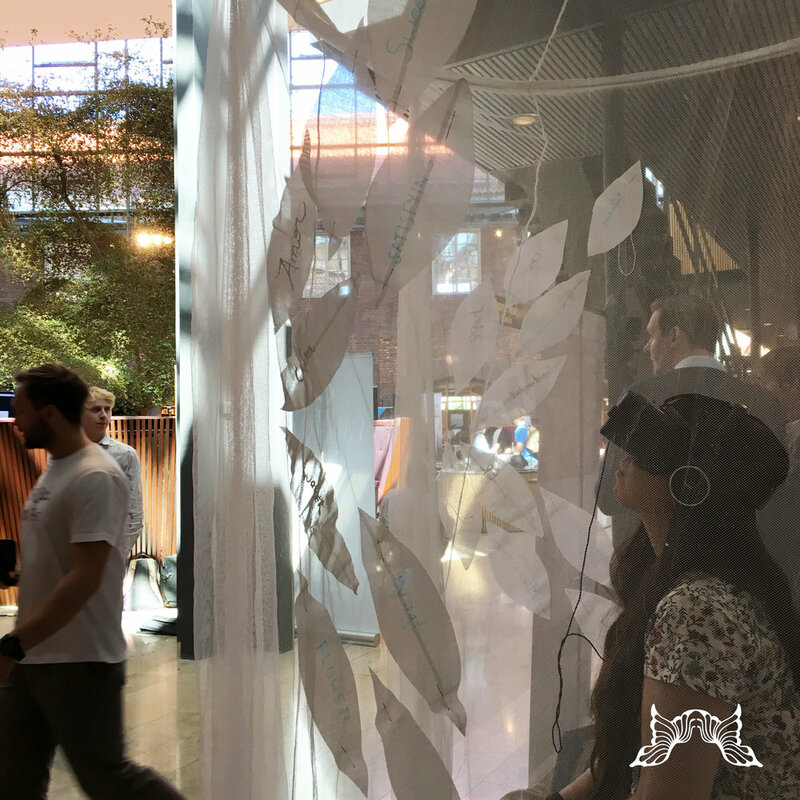 Concept and script, VR-experience (made in Unity), set design (the installation), illustrations, embroidery design, experience design and graphic design by Pernilla Belfrage 2010-2018. Additional programming in Unity: Andy Tang and Simon Holk 2018. Music by Carmen Rizzo, www.carmenrizzo.com and Gustaf Spetz, www.gustafspetz.com. Counsellors; Jakob la Cour (Interaction artist, jakoblacour.com), Bjarke Pedersen (Experience designer, participation.design), Katy Newton (Experience designer, katynewton.com), Peter Caddock and Johan Källberg (Unity gurus) and the crew at Boost Hbg and Nordisk Panorama Film Festival. Last, but most importantly - thank you everyone that has participated in the project by embroidering and sharing their thoughts!